Freedom Readers is a free market economics dessert series with a dual purpose. We expose students to Grove City College’s Austrian economics perspective and, second, typically, this program is our first point of contact with students. We use our Freedom Readers attendance list to make students aware of our Washington, D.C., trip, student fellows program,and other job and internship opportunities.Each year we attract over 400 unique students from 40 majors.The Institute holds five Freedom Readers events each academic year. Past speakers have included: John Tamny, Peter Boettke, Robert Sirico, Anne Bradley, Larry Reed, and many others including the faculty at Grove City College. Speakers have discussed topics ranging from: free markets, health care, taxes, poverty, communism, journalism, and STEM and economics. Our Student Fellows are heavily invested in the marketing and the execution for these events. From the conception of the event to the execution, fellows work closely with the speaker in order to provide the best experience possible for both the student and the speaker. 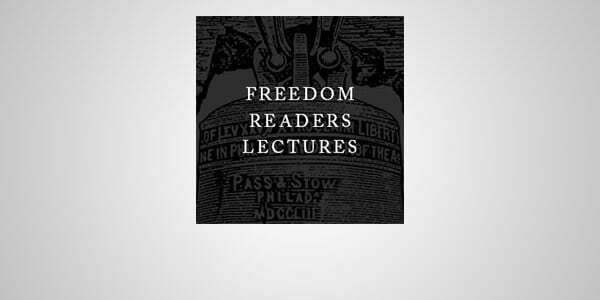 We invite you to join us for our next Freedom Readers event as well as view the archives of our past lectures.